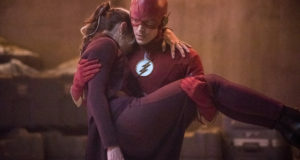 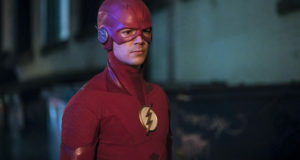 As previously announced, Arrow’s Felicity Smoak (Emily Bett Rickards) and Ray Palmer (Brandon Routh) appear in the upcoming Flash episode “All-Star Team-Up,” and during a group Q&A today, we asked Executive Producer Andrew Kreisberg about what we have to look forward to, and how they factor into the story. 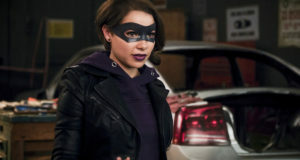 The foe faced by Team Flash and Friends will be The Bug-Eyed Bandit, a known foe of The Atom from the comic books. 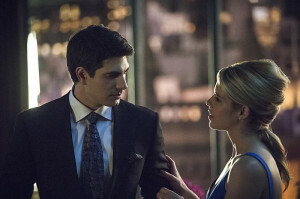 Stay tuned and we’ll let you know as soon as an air date for the Felicity/Ray episode is announced.